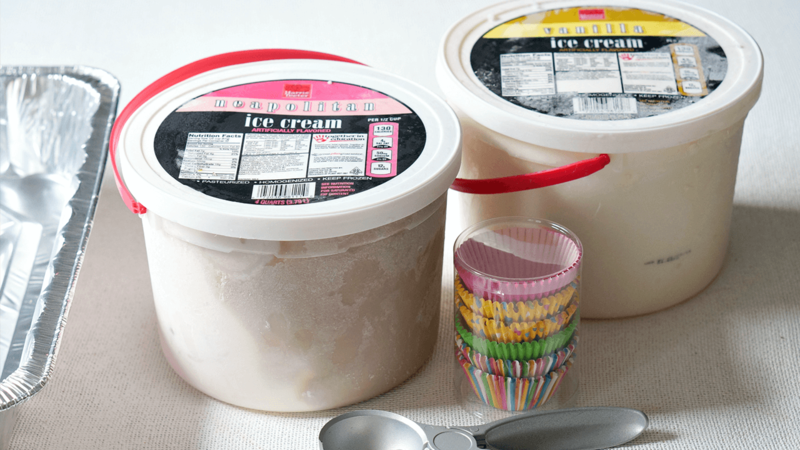 Be the hostess with the mostest this summer when you execute your own Ultimate Ice Cream Party. Read on for 5 great tips! Sure, it sounds like a good idea. But when you have a line of little kids fighting over who goes next and ice cream melting by the bucket-load, you might be second guessing whether or not that ice cream bar party was a good idea. 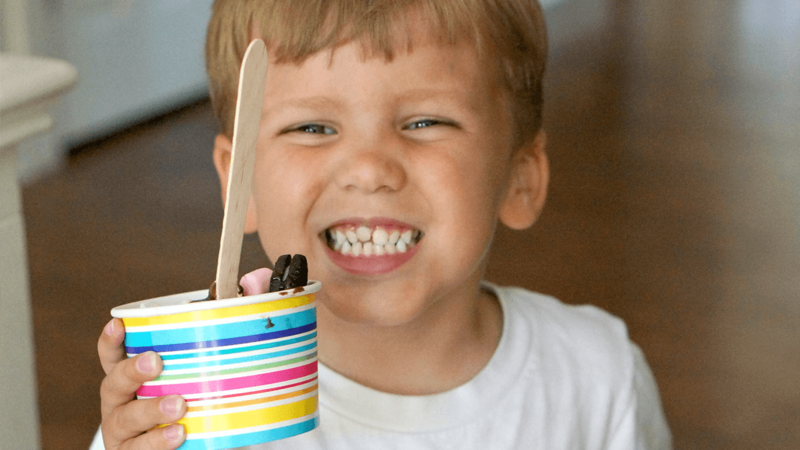 Fret less and enjoy life more with these tips for Ice Cream Bar party success. 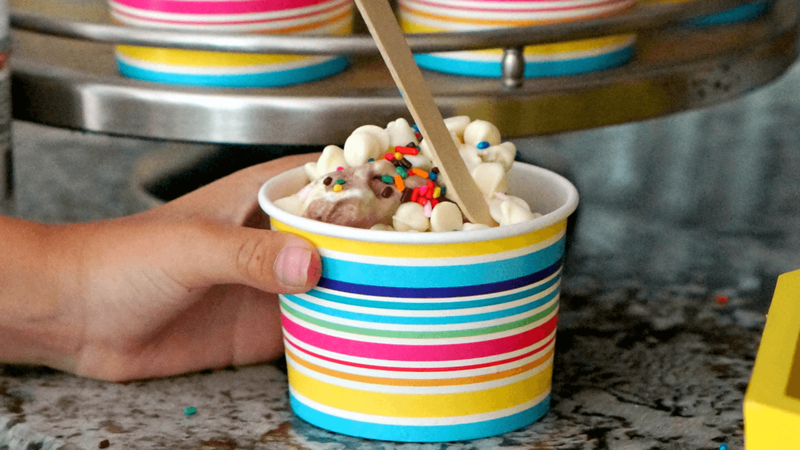 With all kinds of fun ingredients from Harris Teeter, a little pre-party prep and a few party supplies, this ice cream party will not only be tons of tasty fun, but easy to pull off (and clean up afterwards)! 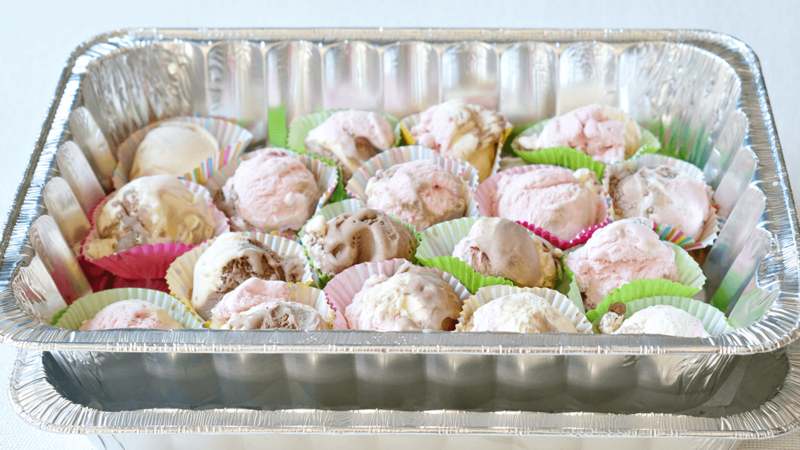 When ready to serve, place ice cream balls in a disposable aluminum tray. Fill another same-sized tray with ice and insert the ice cream tray on top of the ice. It’ll last a little longer without melting this way. This isn’t the time to hold back! You’ll find low prices on popular ice cream toppings at Harris Teeter. We loaded our ice cream bar up with candies, marshmallows, cherries, chocolate chips, nuts, and all kinds of sauces. Serve them up in small bowls with disposable spoons. 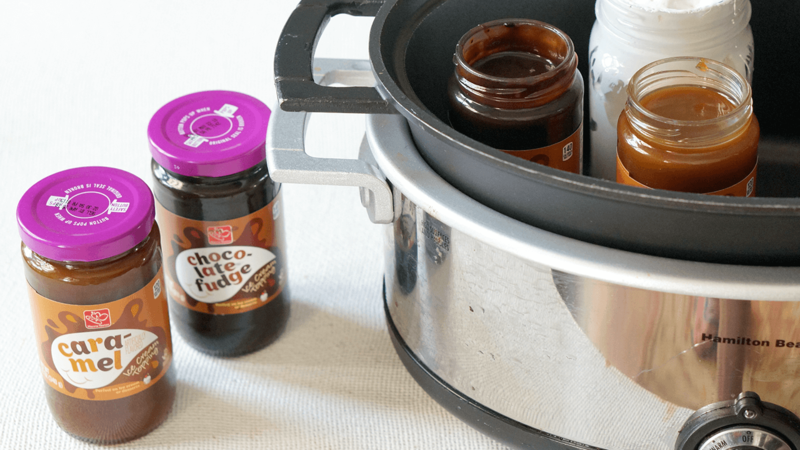 Heat sauces up in a slow cooker. Place mason jars in your slow cooker and fill them up with the toppings you want to serve warm. I love serving hot fudge, caramel and marshmallow fluff this way! 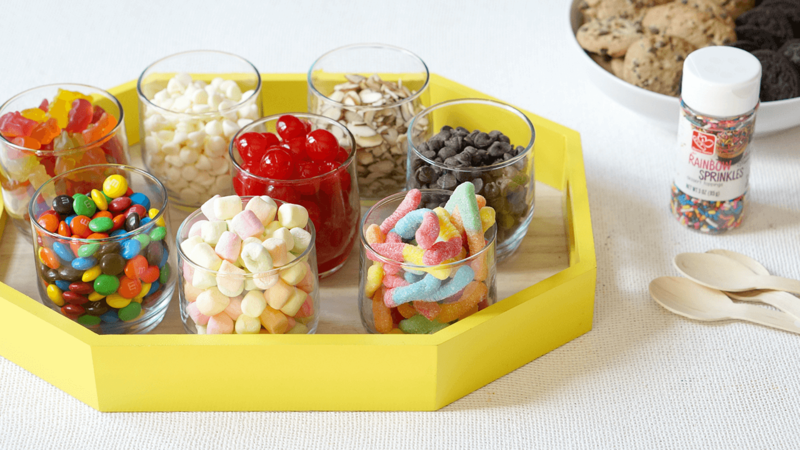 Organize cones and ice cream bowls on tiered tray. Not only does this look super cute, but it makes it easy for little ones to pick what they want when they go through the ice cream bar. 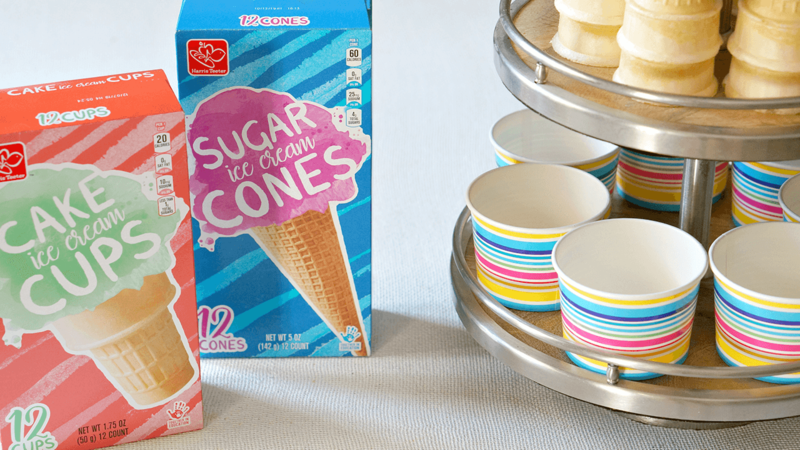 Sit back, relax and mix and match the toppings for the ultimate ice cream sundae! Katie Harding is the publisher of Forks and Folly. A self-taught cook and die-hard foodie, Katie lives in Charlotte with her husband and three boys. Besides cooking and eating, she loves craft beers, running, and napping.